This year, Detroit PAL will be celebrating its 50th year of building character in the kids of Detroit. During those 50 years, hundreds of thousands of young people have benefi ted from PAL’s programs and were influenced by their caring mentors. 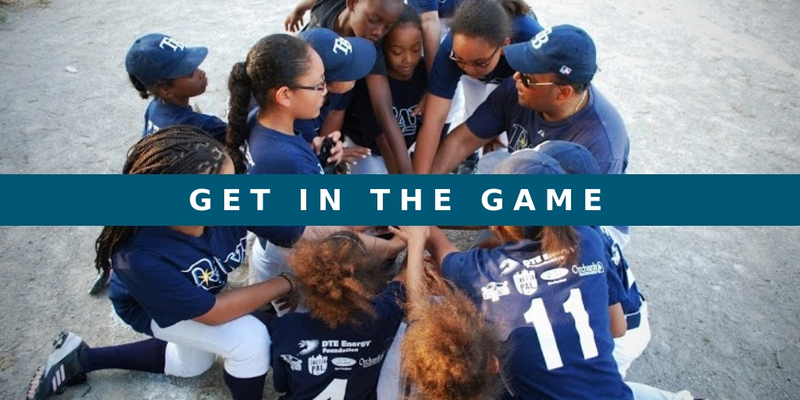 Now, we are calling on you to Get in the Game and help the next generation of Detroiters rise up and reach their full potential. Bryant George could have easily been another heart-wrenching Detroit statistic. His mother was a teen mom who was unable to finish high school and his father suffered from addiction. Bryant witnessed a lot of poverty, crime, gangs, and drugs during his childhood. His outlook was dim. Luckily, Bryant George joined the Detroit Police Athletic League’s organized basketball program in 7thgrade. He met Detroit Police Lieutenant Robert Johnson, and he began to find success and a sense of belonging with his coaches and teammates on the basketball court. Lieutenant Johnson stepped up and acted as a strong mentor for Bryant, who vowed to become a police officer himself one day. 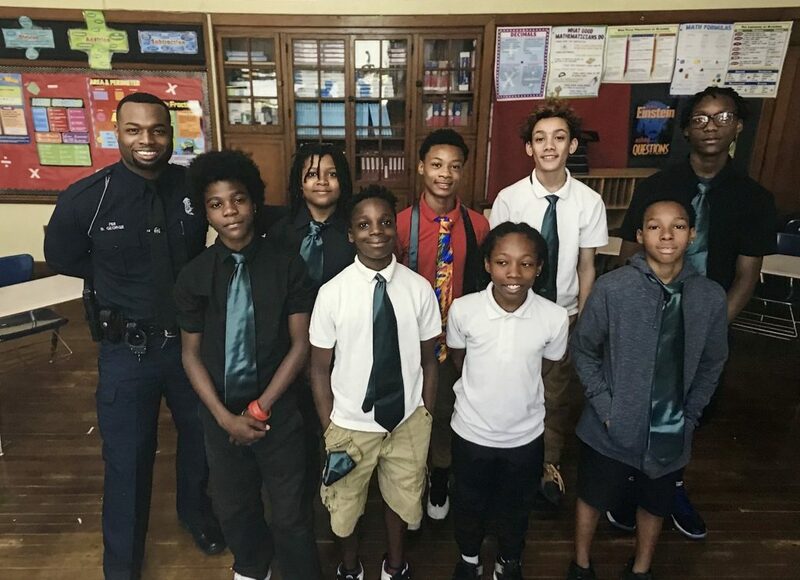 Today, Bryant George has achieved his goal to become a Detroit Police Officer, and he was recently recognized by the Detroit News as a 2018 Michigander of the Year for his incredible efforts to give back and mentor young people in Detroit. Officer George is a testament to the power of PAL and to the critical importance of having a caring adult in your life. At Detroit PAL, we believe there is no greater investment than in our youth. 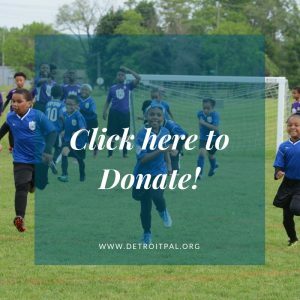 We believe Detroit’s Future is in Play and invite you to Get in the Game and make a donation today, because we can’t afford to miss out on the next Bryant George.